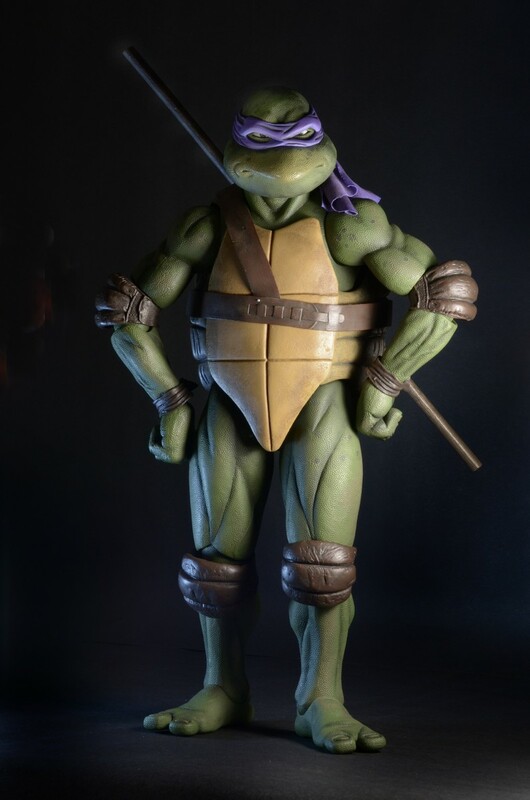 The photos we’ve been sharing on Twitter and Facebook have been so popular, we decided to dedicate a whole gallery to Donatello! 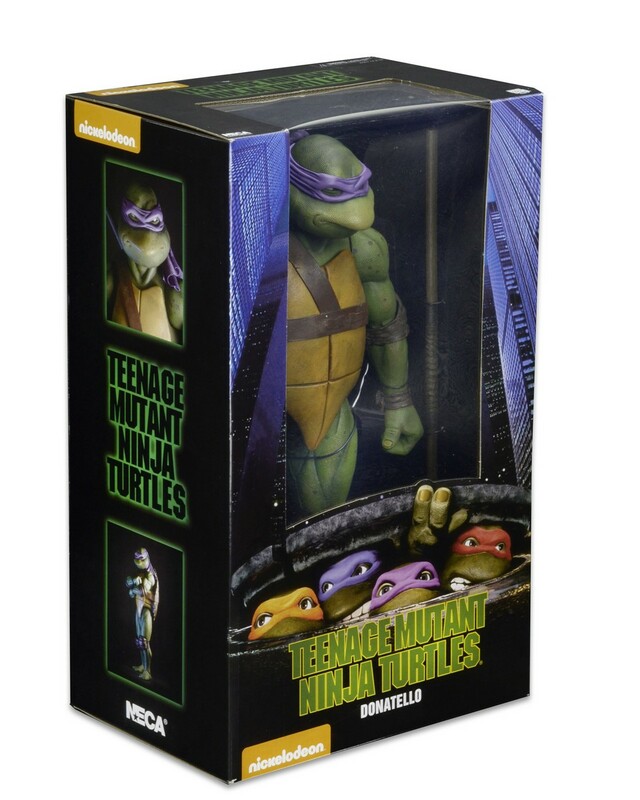 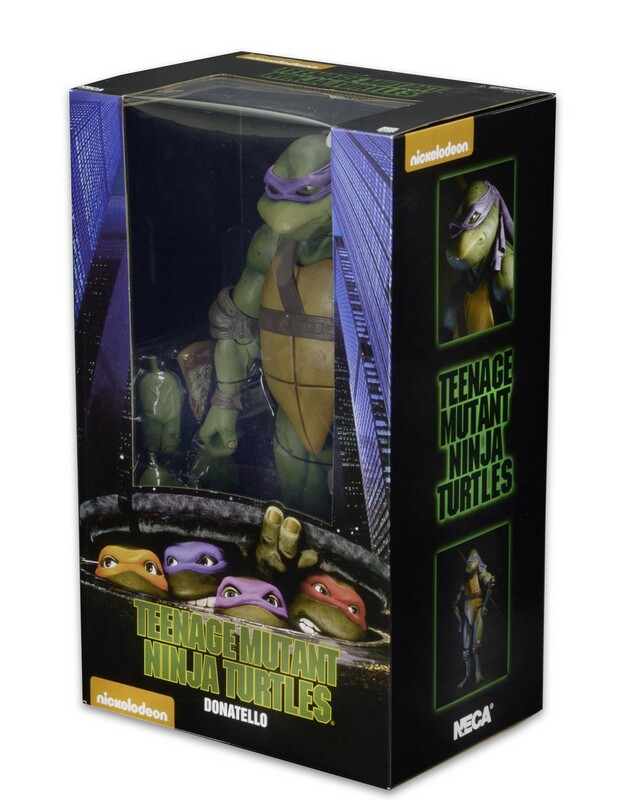 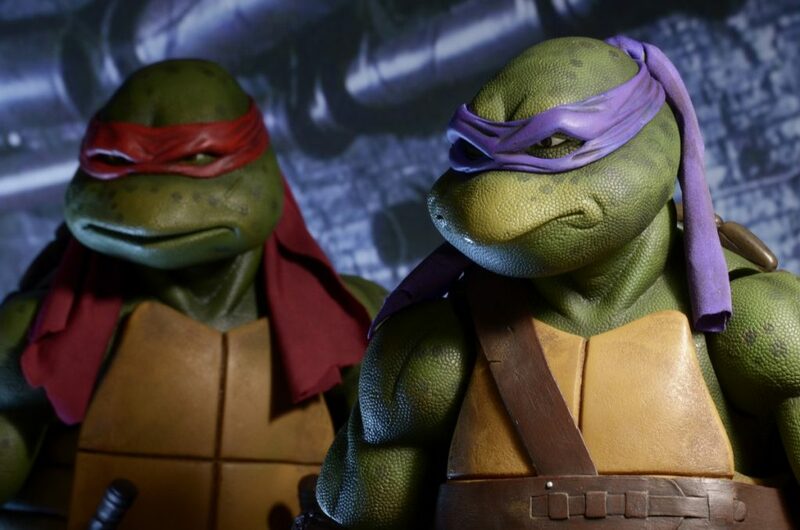 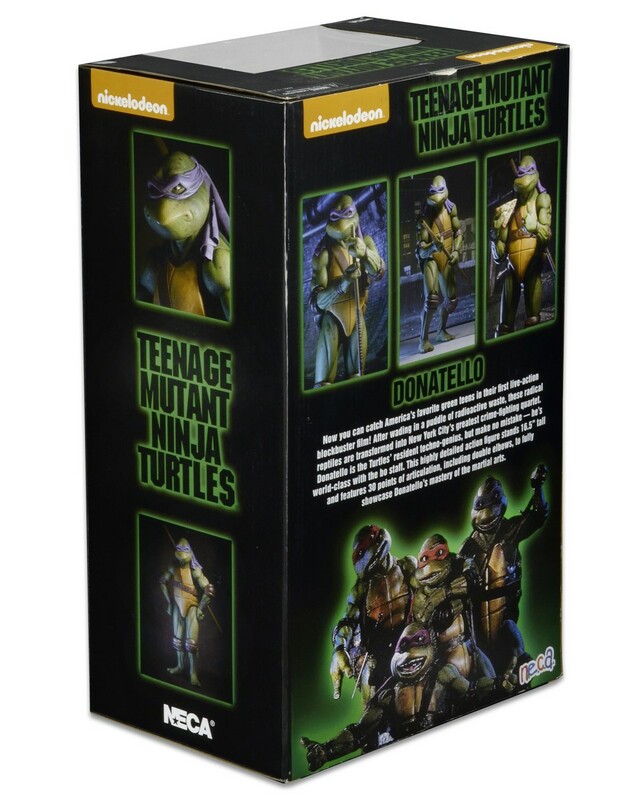 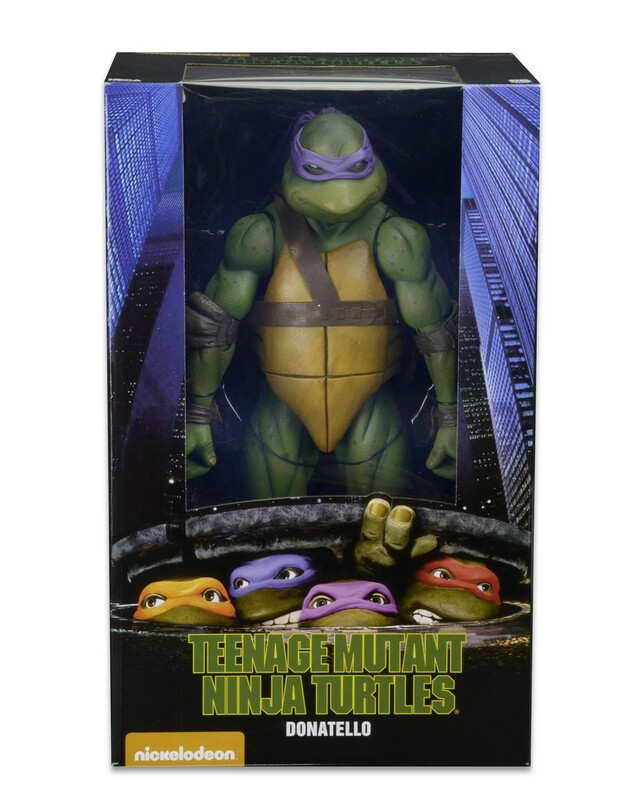 (Well, ALMOST entirely – there’s ONE cameo by a certain fellow Turtle…) Check out our first 1/4 scale figure from the classic Teenage Mutant Ninja Turtles movie in action, plus packaging shots, and get ready for him to start shipping sometime next week! 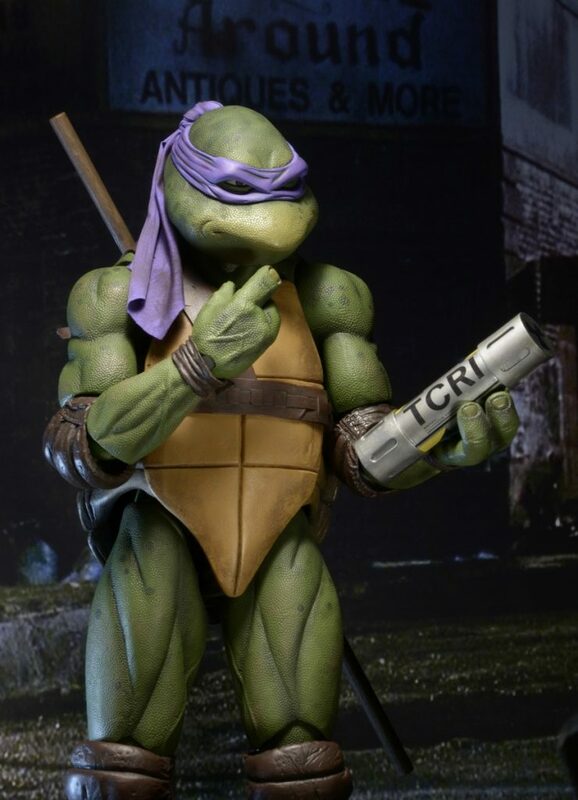 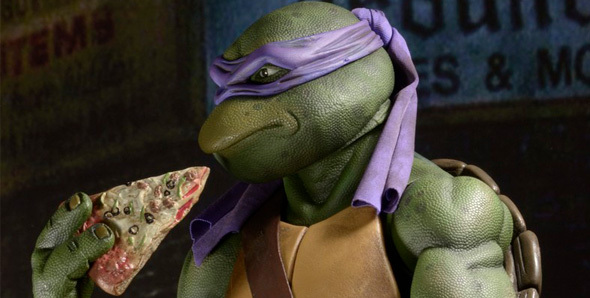 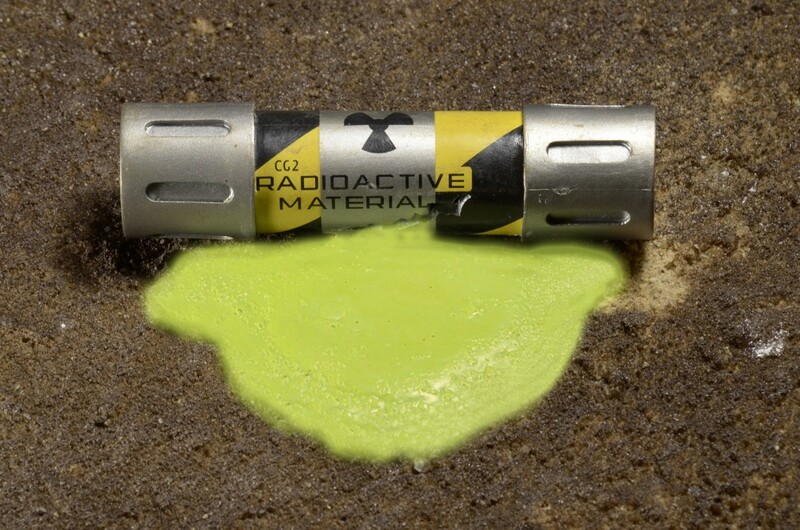 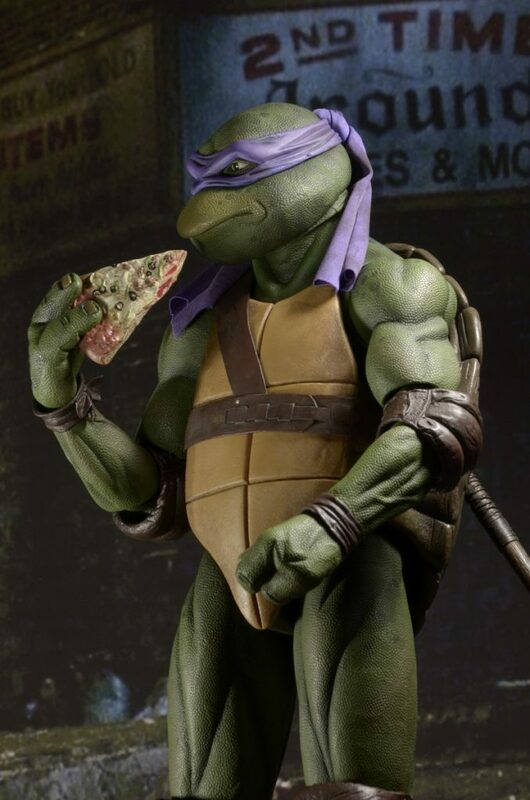 Donatello is the Turtles’ resident techno-genius, but make no mistake — he’s world-class with the bo staff. 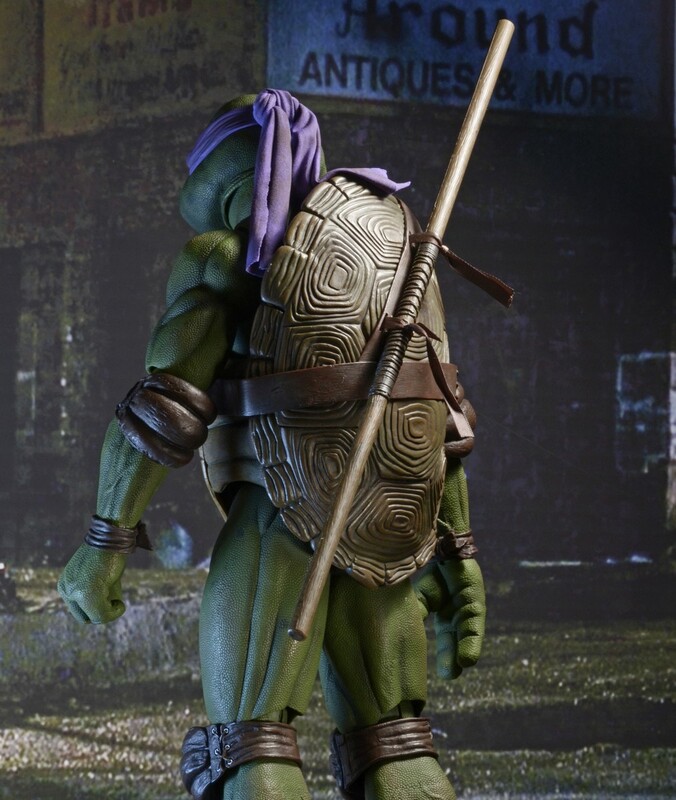 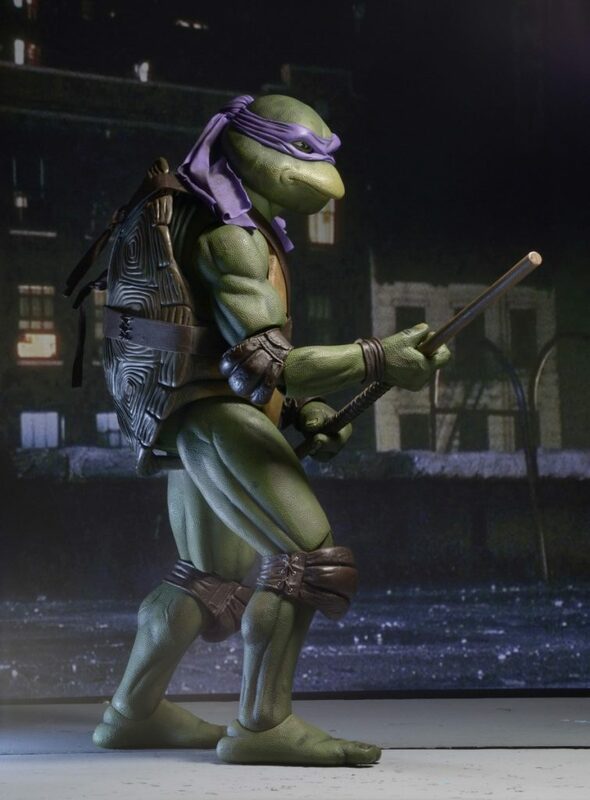 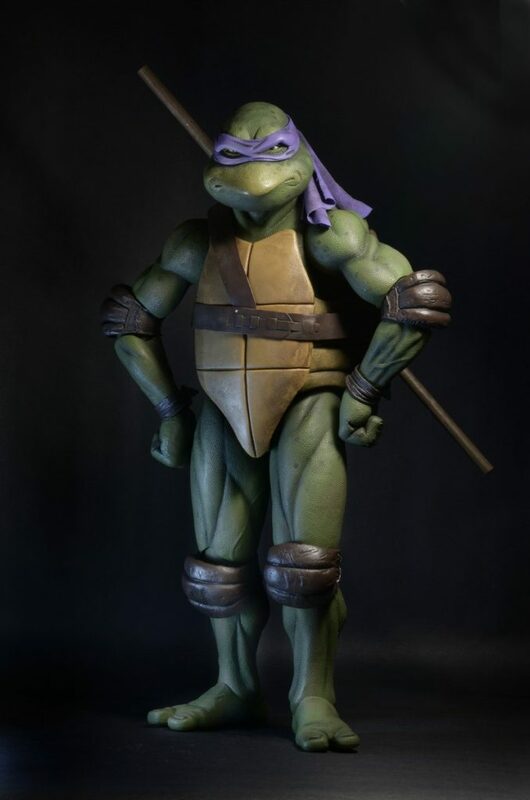 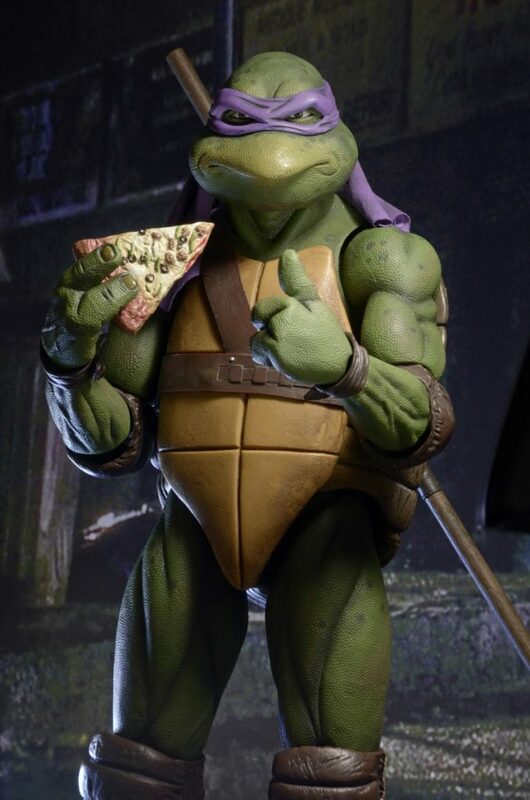 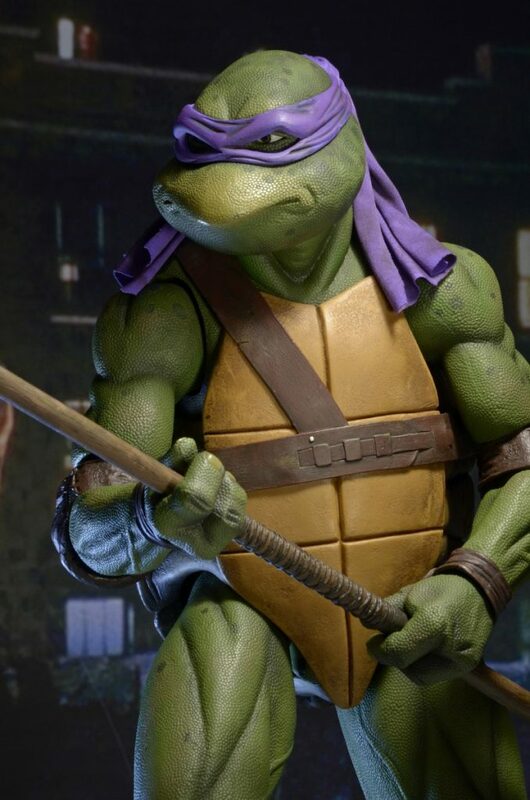 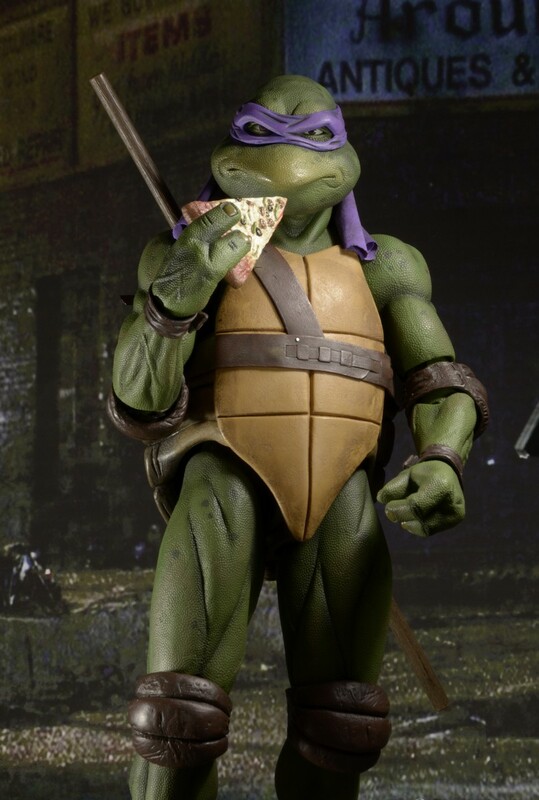 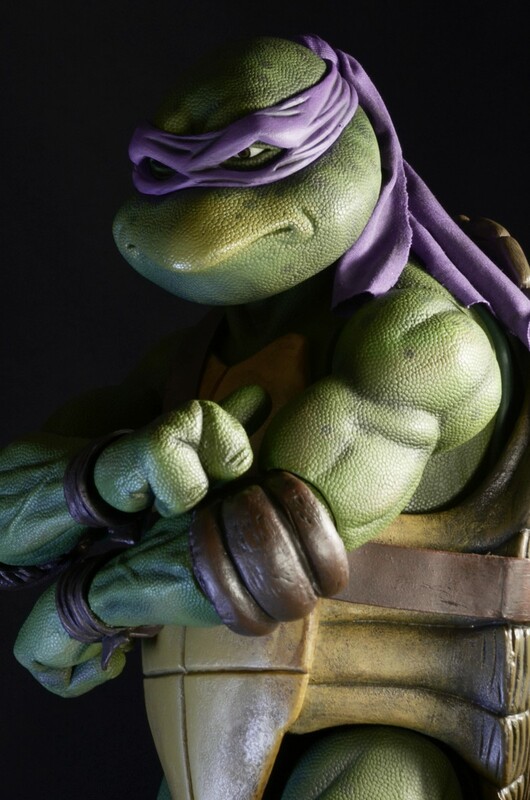 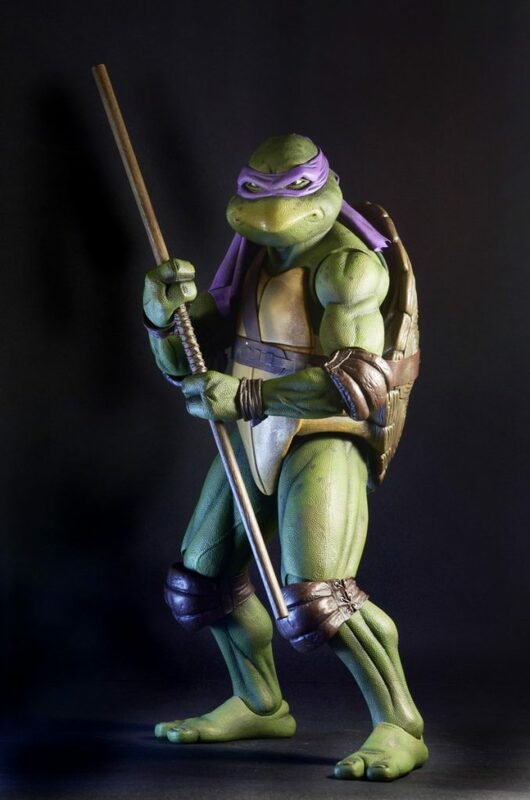 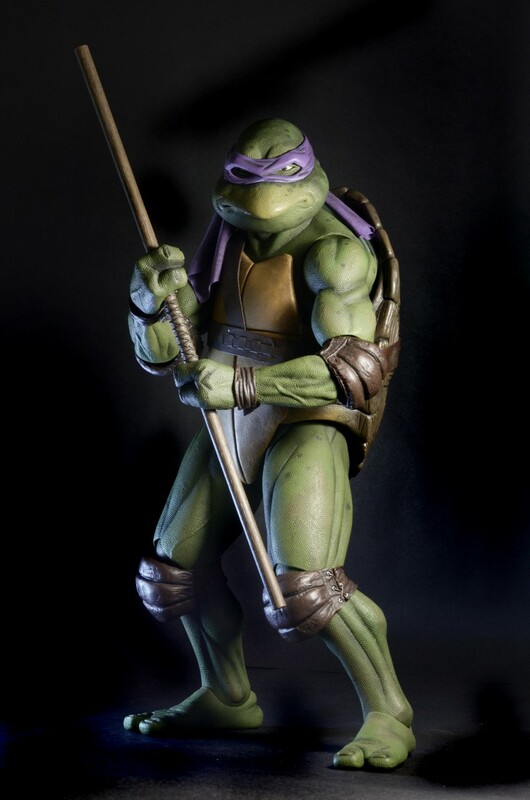 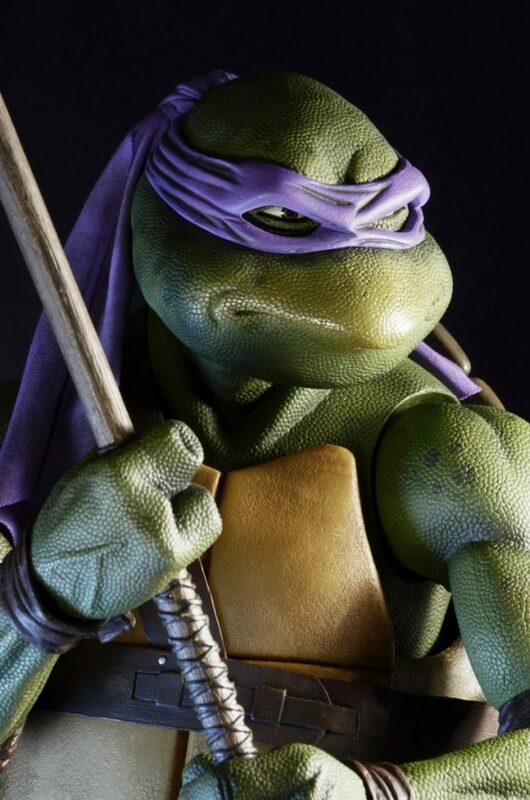 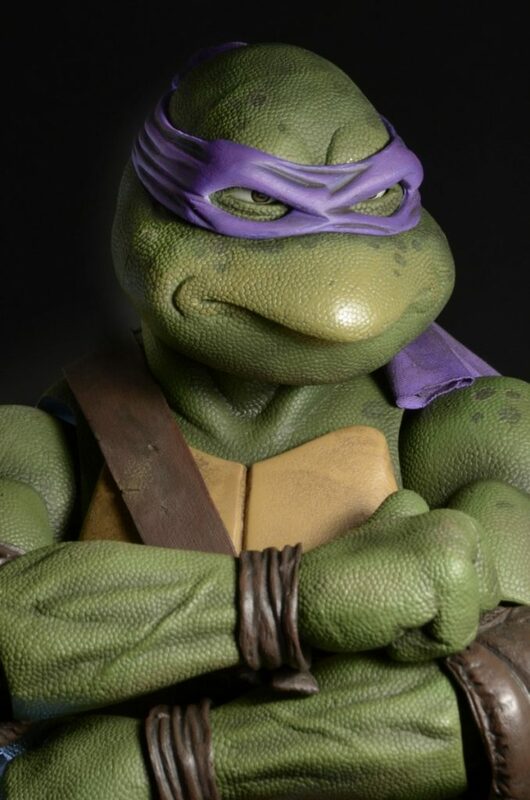 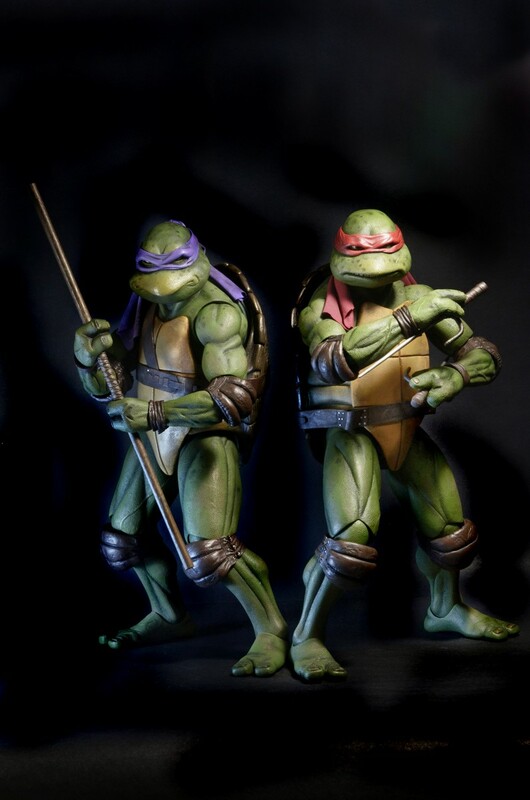 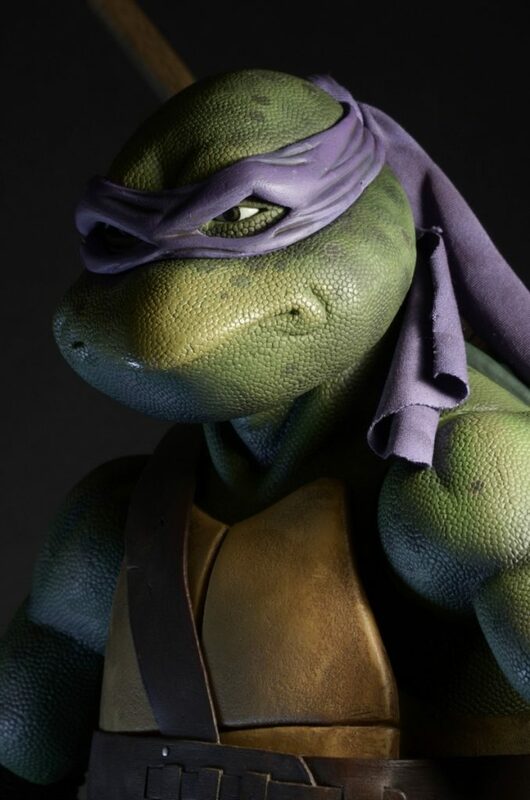 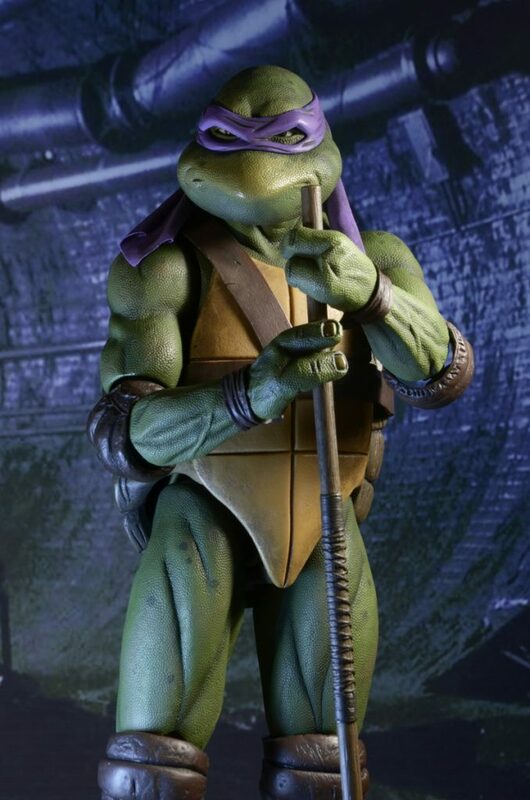 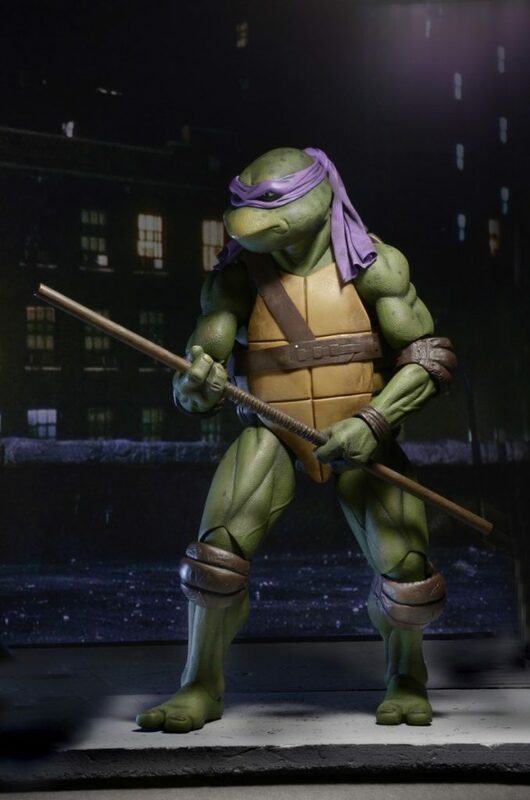 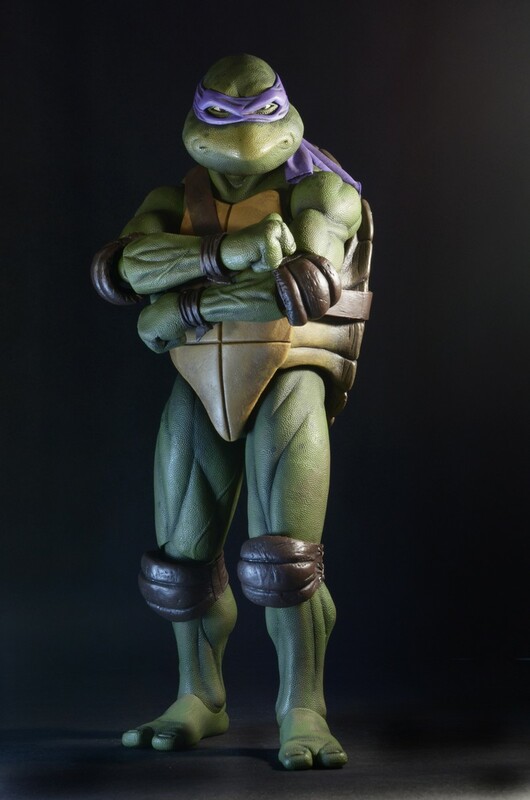 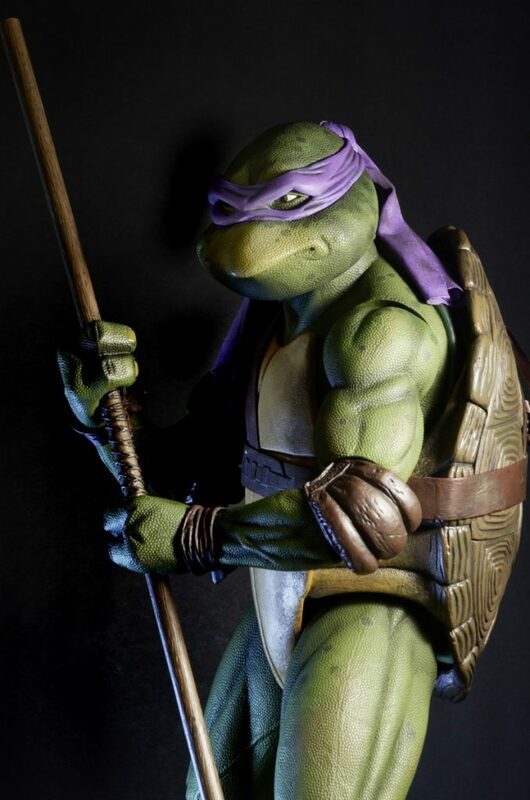 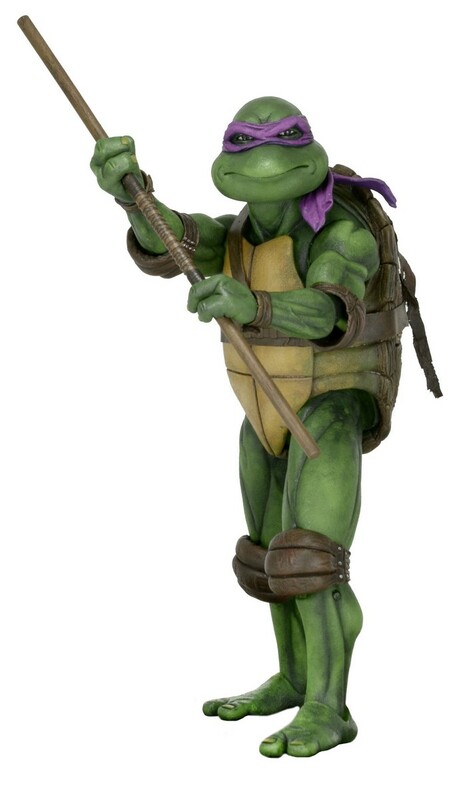 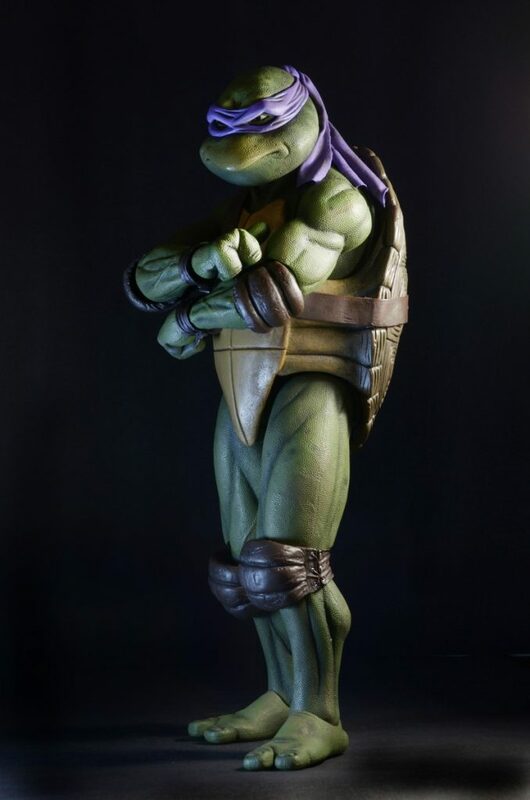 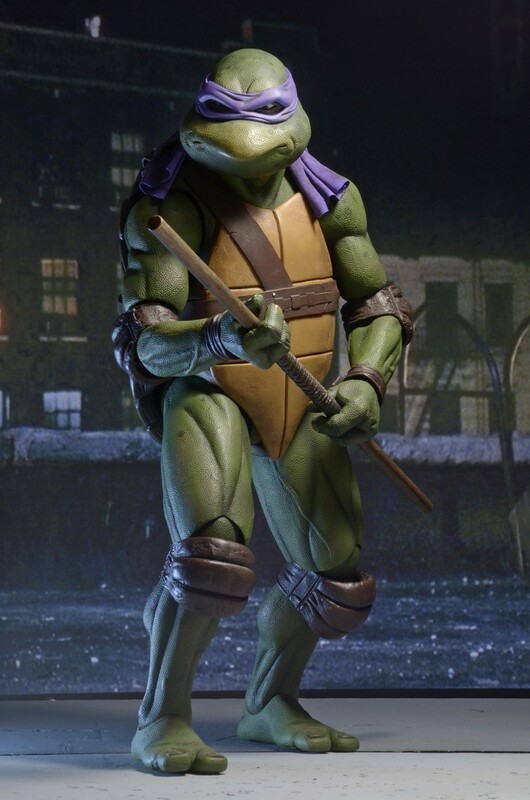 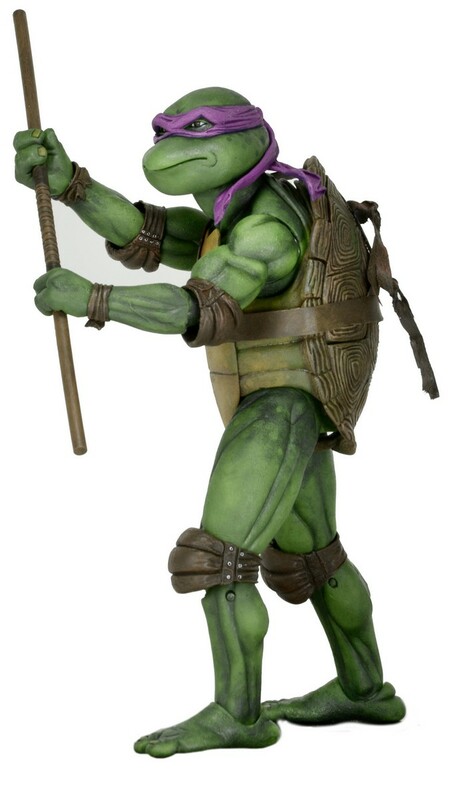 This highly detailed action figure stands 16.5” tall and features 30 points of articulation, including double elbows, to fully showcase Donatello’s mastery of the martial arts. It’s entirely accurate to the movie, and comes with bo staff accessory and interchangeable hands.